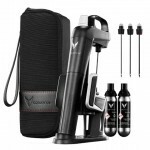 Coravin Model 2 Bonus Pack Wine System (P/N #18102). 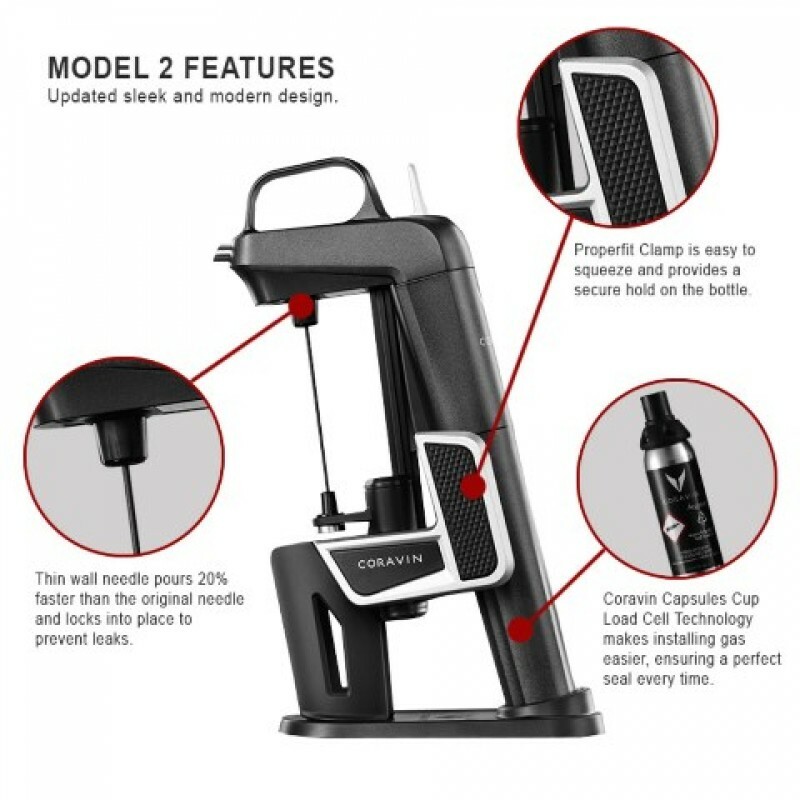 Using a non-coring medical-grade needle that inserts through the cork, Coravin allows you to taste your wine without opening the bottle. When you're ready to pour, use the wine-on-release trigger to pressurize the bottle. Angled pours result in clean and even results. 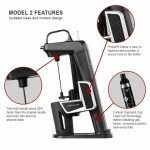 The high-tension bottle clamp ensures stability, and is adjustable to fit multiple bottle sizes. It provides a secure hold and is easier to open than the 1000 model. 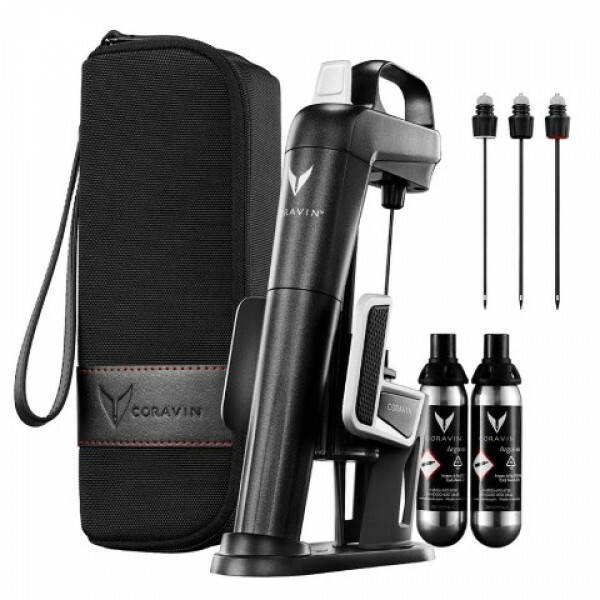 While pouring the wine, Coravin inserts Argon gas into the bottle to preserve the wine remaining in the bottle. Two Argon capsules are included with the system. Each capsule allows you to pour up to 15 glasses of wine (5 oz pours). Additional capsules sold separately. After the needle is removed, the cork reseals to maintain a perfectly unopened bottle. Synthetic corks do not reseal, use the Coravin once, then tape over the needle hole to keep bottle preserved. Not recommended for synthetic corks or screw-caps. Taste your favorite wine without pulling the cork and opening the bottle. Warranty: 1 year limited warranty (including the needle) covering manufacturing defects.